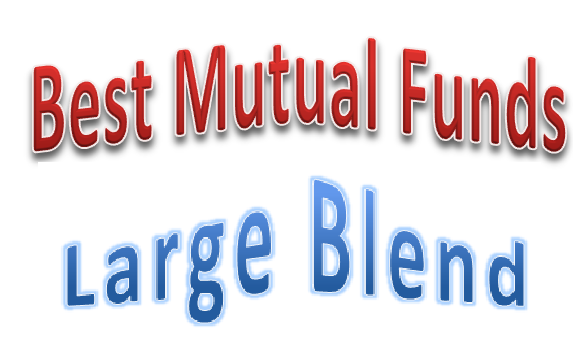 Top large blend mutual funds 2014 are Upright Growth Fund, Franklin Focused Core Equity Fund, Oakmark Select Fund, Vanguard Capital Value Fund, etc. Large blend funds are part of U.S. stock funds. For large cap funds, there are three main types. They are large blend, large growth, and large value. These funds invest based on its investment style such as value, growth, and blend. You can buy these funds for your core investment in your brokerage or traditional IRA or Roth IRA or 401k plan. Large blend funds invest in neither growth nor value stocks. These funds invest mainly in U.S. large companies with more than $10 billion market capitalization. Most of the companies are listed in stock exchange such as NYSE, NASDAQ, etc. Investing risks include market risk, investment style risk, etc. Upright Growth Fund uses its assets to purchase common stock, preferred stock, and convertible securities of publicly-traded United States domiciled companies. With $12 million of assets, it has a high expense fee of 2.17%. This no load fund has low portfolio turnover rate of 5%. The fund manager is David Y.S. Chiueh. Morningstar has ranked this top large blend mutual fund with 3 stars rating. In 2014, this U.S. stock fund has year-to-date return of 14.25%. The 3 year average return is 19.87%. Top 3 stocks in its portfolio are Apple Inc, Silicon Motion Technology Corp ADR, and Manitowoc Co Inc. Top 2 sectors are technology, and industrials. Franklin Focused Core Equity Fund is a 3 star mutual fund. This mutual fund has a sales load of 5.75%. Its expense fee is 1.19%. The investment style is large growth. The fund managers are Brent Loder and Chris Anderson. The current yield is 0.52%. You can buy this top large blend mutual fund with initial investment of $1,000 for brokerage and $250 for retirement account (IRA). You can buy from 58 brokerages such as Td Ameritrade Inc, Vanguard, Raymond James, Firstrade, and JPMorgan NTF. For the past 1 year, it has total return of 32.20%. Oakmark Select Fund objective is to provide long term capital growth. This large blend fund investment mainly in common stocks of U.S. companies. It is managed by William C. Nygren, Anthony P. Coniaris, and Thomas W. Murray. This popular fund has $5.8 billion of assets. This no load fund has expense fee of 1.01%. This best large blend mutual fund is rated with gold rating by Morningstar. It has returned 20.06% over the past 3 year, and 23.58% over the past 5 year. In 2014, the YTD return is 12.93%. Vanguard Capital Value Fund invests mainly in undervalued U.S. stocks. It has a dividend yield of 0.64%. This Vanguard fund has total assets of $2.0 billion. Its expense fee is 0.41%. This U.S. stock fund is managed by Peter I. Higgins and David W. Palmer. This top large blend fund has 3 year annualized return of 17.67%. Top 5 stocks in its holdings are Merck & Co Inc, Groupon Inc, Pioneer Natural Resources Co, Cobalt International Energy Inc, and SunEdison Inc. Top 3 sectors are technology, energy, and healthcare. TCW Concentrated Value Fund has total net assets of $10.7 million. Its expense fee is 1.14%. This equity fund has yield of 0.41%. The current share price is $18.79. It is ranked with 2 star rating. It has returned 30.54% over the past 1 year, and 15.69% over the past 3 year.